Dr. Marjorie Farnsworth, PhD., brings to healing a solid background in real life, including 25 years as a corporate middle manager for the Fortune 500. She brings to healing that same can-do, practical, results-oriented attitude that brought her success as a manager. Dr. Marjorie also brings to healing a real education along with travel to many different cultures around the world and formal study of almost every major world religion. For formal education, Marjorie holds an MA in Chinese Literature from the University of Chicago, an MBA from the University of Missouri-Columbia, and a BA from Mount Holyoke College in Asian Studies. She has traveled to Europe, Australia, China and Russia, and lived in Taiwan for over 2 years. As a therapist, dr. Marjorie has attained Advanced Master Certification in Clinical Hypnotherapy in 2014, and received her PhD in Transpersonal Psychology in 2016. She is a member of the IMDHA (International Medical & Dental Hypnotherapy Assoc.). As a teacher, Marjorie currently teaches adult education workshops in two Michigan school districts and at The Enlightened Soul Center in Ann Arbor. In the past, she, Marjorie was an adjunct professor at UCLA Extension in the Business Division, and at Long Beach Community College. 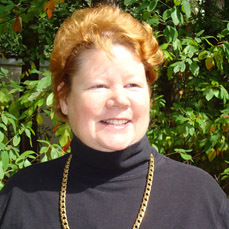 As a shamanic practitioner, Marjorie has been studying shamanism and practicing it since 2002. Her teachers include: Hank Wesselman (Sacramento), The Foundation for Shamanic Studies (San Francisco), Spirit Weavers (Lansing) and Nan Moss (weather shamanism). She also received training at the Berkeley Psychic Institute (Berkeley, CA), the Morris Pratt Institute (Milwaukee), and Reiki certification up to level II. She is a member of The Society for Shamanic Practice. As a shamanic practitioner, Dr. Marjorie provides the following services: finding power animals, soul retrieval, cord cutting, curse unraveling, depossession, extraction, and the clearing of haunted houses. Dr. Marjorie also can cross over and communicate with the dead.